I'm been rocking my 2013 digital board for the past two years. I skipped last year. Procrastination won. When I sat down to create one for 2015, I found my old favorite O Dream Board had disappeared so I created a version using PicMonkey. Creating a vision board allows me to keep my eye on the prize and allow positive images of what I want flowing through my head. It's not magic. There's work involved but putting it out there for the universe to see doesn't hurt. If you spend a great deal of time in front of a computer, having a digital board to look at on your phone, computer, or tablet makes it easy to keep goals and general wants for the new year close at hand. If you've already created a paper version of your vision board, no need to go searching around for new images. You can simply snap a photo of the entire thing. Otherwise, find images that match your goals. Save them to a folder so you'll have them all together. 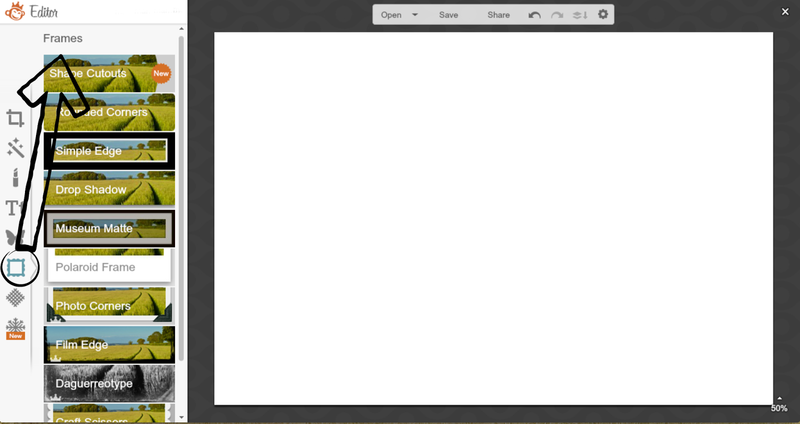 Use the design feature in Picmonkey to create a frame. Size and orientation are up to you. I liked my O Dream Board so I tried my best to recreate it. I used a 4x6 canvas and then rotated it to be horizontal. 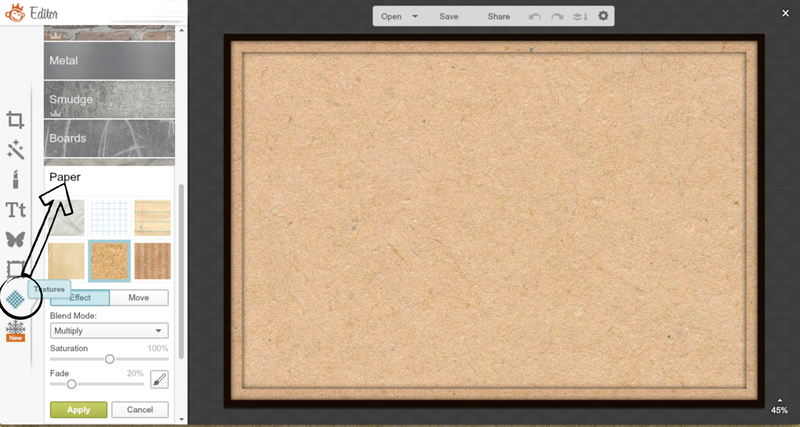 You can add a boarder and a cork board texture too. Again, copying the 2013 version. To upload images to the board. Click the butterfly (overlays) and then add your own. You can now add the pictures from Step 1. You can increase / decrease, rotate, and move pictures forward or backward to you liking. You can right inspirational quotes or power words too simply by clicking on T (text). The most important step. Save your work and use it as a screensaver. You can print a copy for your bag or tuck one into a planner too. Happy New Year! See you guys in 2015. 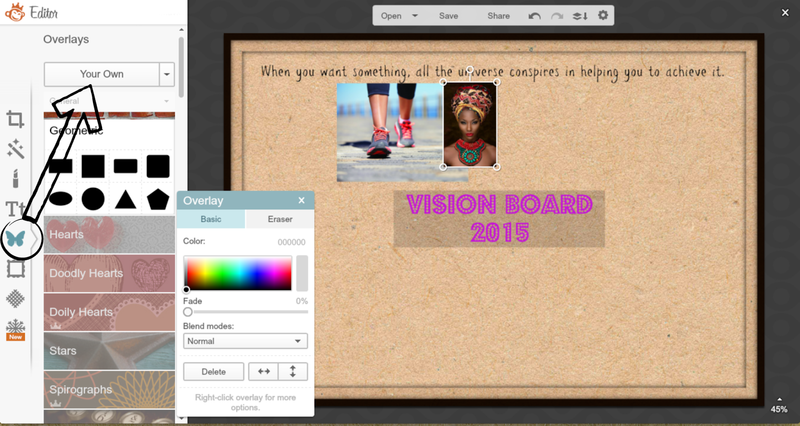 Have you created a vision board for the new year? What a great idea! I like making mood boards, but I haven't made a digital one. Happy New Year! Love digital vision boards. I've been using the Oprah app for the last few years, but I'll definitely probably being using PicMonkey or Canva this year. Great tutorial! Cool idea! I made a digital vision board on Oprah's website a few years ago. I'm going to a physical vision board party next week, and I'm excited to see what we come up with. As my teen would say, "Yaaaaaaaaaaaaaaasssssssssssssssss!!" Love this tutorial. I always think of pinterest as my vision board but this tutorial could help me make a picture to take along with me. Love this. I've never done a digital vision board but I did make a cover photo for my phone out of my last vision board. I would reflect on it daily. Planning to do the same this year but next year I may do something like this. This is absolutely awesome. Such a great concept. Being that I am always on the computer it makes since to create a digital vision board. 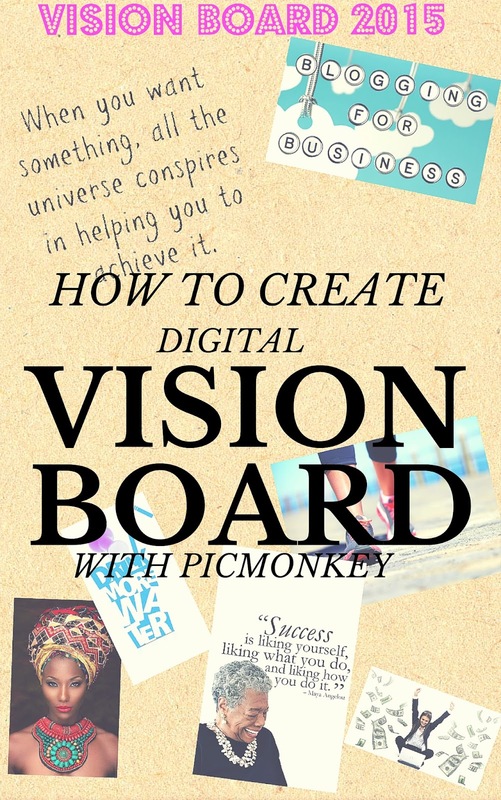 I will being using your guide in order to create my first digital vision board. Thank you! This is such an AMAZING idea! I have actually never done a vision board but I love the idea of a digital one to have on my computer since I am on it all the time! I think I like this better than the regular vision board. I love the visuals in the post too! LOVE this idea and your tutorial! I'm going to take a photo with my new camera and use it as the background on my computer and my phone so I can always reference it. Another thing I heard someone do is they carry their big goals around on index cards and whip them out to read over them whenever they have free time. I do vision boards for various areas of my life. All my boards are electronic so I can have them with me at all times on my various devices. When a goal or ending point is visible it is easier for us to work toward it.